The Sochi Winter Olympics open today, and I'll be watching them mostly from the location of the previous Winter Olympics, here in British Columbia. One of the moments that impacted me the most from the London Olympics two years ago was the closing ceremony, when all of the Olympic athletes who had participated walked into the stadium, waving flags from their countries, celebrating and cheering regardless if they won a medal or not. My wife looked it up, and 204 countries participated in 2012, with over 10,000 athletes. (When I Googled how many countries there are in the world, the answer repeatedly came up as 196. So, apparently 8 countries were invented just to participate in the 2012 Olympics.) A record 88 countries will be participating in the Sochi Winter Olympics, with around 3,000 athletes competing in 98 medal events. 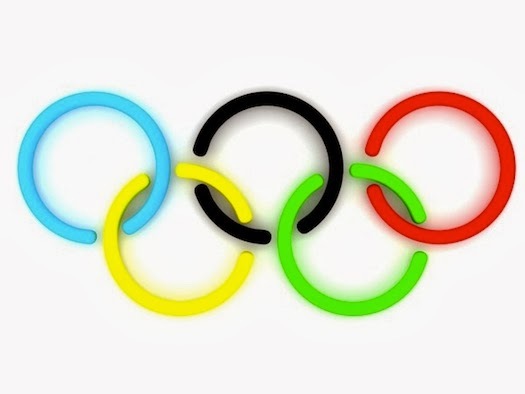 The Olympics are amazing, but they are only a tiny picture of what the kingdom of heaven will be like. Every nation, every tribe, every kind of person throughout human history who has been saved by the grace of Jesus will be together to celebrate. No weeping, no brokenness, no pain, no sin. Only joy, only peace, only unity, only love. That'll be quite the opening ceremonies indeed.